After a stellar 2017 which saw Anastasia Pavlyuchenkova claim a career-best four WTA titles, this year could only be described as a downward spiral with the Russian struggling to pick up wins early in the year. She failed to defend her top-15 ranking and ultimately ended the year inside the top-50, although just barely doing so. Pavlyuchenkova amassed a disappointing 22-22 win-loss record, with six losses coming to players ranked outside the top-50. However, her poor stretch of results could also be attributed to the series of tough draws she was handed. In 15 of the 23 tournaments she played throughout the year, she had to face either a current or former top-10 player before the quarterfinals which saw her facing nine opening-round exits, including four consecutive at one point in time. Pavlyuchenkova’s first win of the year was an absolutely tough one — she had to recover from a 0-3 deficit in the final set against Kateryna Kozlova in the opening round of the Australian Open but that win truly reflected her fighting spirit. 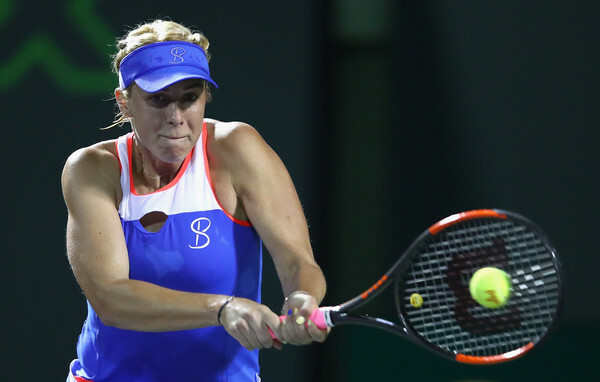 However, Pavlyuchenkova had to wait until the Miami Open for her second win of the season. Up against a quality player in Aliaksandra Sasnovich, the Russian edged through narrowly in three sets to regain some confidence. 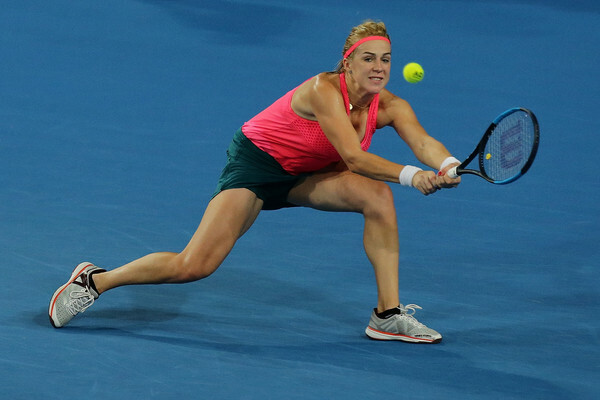 Pavlyuchenkova reached her maiden quarterfinal of the year at the Porsche Tennis Grand Prix — getting past a tricky opener against Madison Keys before benefitting from Garbine Muguruza’s retirement in the second round to reach the last eight where she narrowly fell to Anett Kontaveit. After a stretch of poor results, Pavlyuchenkova finally found her best tennis at the Internationaux de Strasbourg. She started her campaign with an outstanding double-bagel victory over Tatjana Maria in the opening round, before strolling to the final without losing a set. She capped off the week with her first WTA title of the year, overcoming Dominika Cibulkova in a thrilling three-hour, 35-minute thriller. That was also the longest WTA final of the year. Pavlyuchenkova had to wait until the Asian swing to display her clinical tennis out on the court. The Russian stormed past the higher-ranked Anastasija Sevastova in the first round of the Wuhan Open with the loss of just five games, before upsetting the in-form Kiki Bertens and fifth-ranked Petra Kvitova to reach the quarterfinals. Despite leading by a break in the decider, Pavlyuchenkova ultimately fell short to Ashleigh Barty. 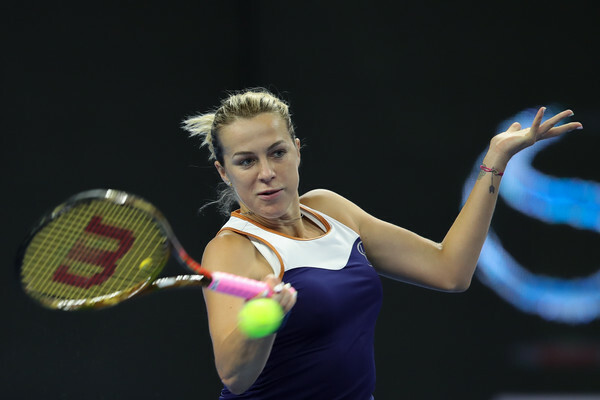 After a disastrous start to the year, Pavlyuchenkova ended 2018 with several decent results. She reached the quarterfinals in indoor hard-court tournaments, at the Upper Austria Ladies Linz and the Kremlin Cup respectively. Pavlyuchenkova was defeated by fellow Russians on both occasions, but she had fallen out of the top-40 having failed to defend her title in Hong Kong. 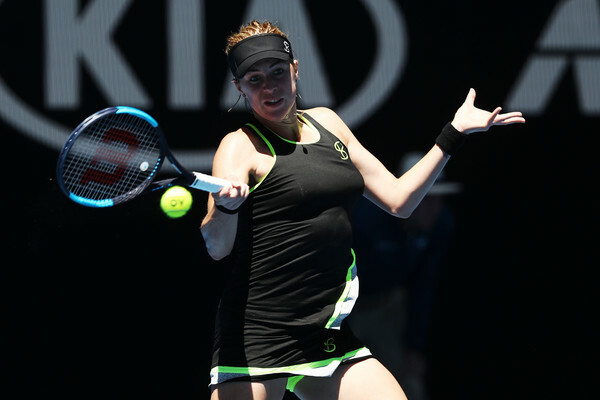 Pavlyuchenkova went into the Australian Open looking to defend her quarterfinal points but her Melbourne campaign ended in disastrous fashion. Tipped to replicate her run, the Russian was stunned by the unheralded Kateryna Bondarenko in the second round, falling to the Ukrainian in straight sets without being able to make much of an impact. Furthermore, she started the year at the Hopman Cup with three consecutive losses. A series of tough draws followed, first at the St. Petersburg Ladies’ Trophy where she was defeated by compatriot Ekaterina Makarova 4-6, 4-6 in the first round. 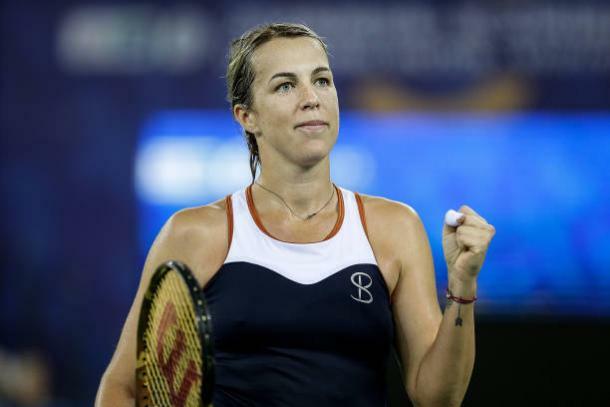 Another heartbreaker came at the Qatar Total Open, where Pavlyuchenkova failed to pounce on her chances and ultimately fell to the hard-hitting Dominika Cibulkova in a tight encounter. In their first career meeting, the Russian lost out to Johanna Konta in a blockbuster opener at the Dubai Duty Free Tennis Championships. Another disappointing performance came at the BNP Paribas Open against rising star Amanda Anisimova, which marked the fourth successive loss for Pavlyuchenkova. The loss (having reached the quarterfinals in Indian Wells the year before) saw the Russian falling to the 25th spot in the rankings despite starting the year in the top-15. Although Pavlyuchenkova’s season picked up on clay, she struggled at the big tournaments. Up against a familiar foe in Samantha Stosur, Pavlyuchenkova was ousted by the Australian twice — once at the Mutua Madrid Open, and another at the French Open. On both occasions, the Russian had golden opportunities to progress deep in the draw but failed to exploit on those chances. Pavlyuchenkova struggled on grass as well, starting the summer in London with a poor 1-6, 2-6 loss to Garbine Muguruza in Birmingham. She surprisingly fell to Hsieh Su-wei (who eventually reached the second week) in the opening round of Wimbledon as well. It was just some tough luck for Pavlyuchenkova whose ranking could not earn her a seeded position at the larger tournaments. She started both the Rogers Cup and the Western and Southern Open with fantastic straight-sets wins but narrowly fell to top-five players in the second round. She failed to earn her first win over Simona Halep in Montreal, losing a lead in the final set, while fell short to Angelique Kerber in a tough three-setter. Pavlyuchenkova suffered from another disappointing first-round exit at the US Open — this time coming against Rebecca Peterson despite leading by a set and a break. Entering the Toray Pan Pacific Open as the defending finalist, Pavlyuchenkova had a ton of points to defend. The Russian was dealt with a tough blow after drawing to face the fourth-ranked Caroline Garcia in the second round, and despite owning three match points, she failed to close out the win and ultimately lost in three sets. 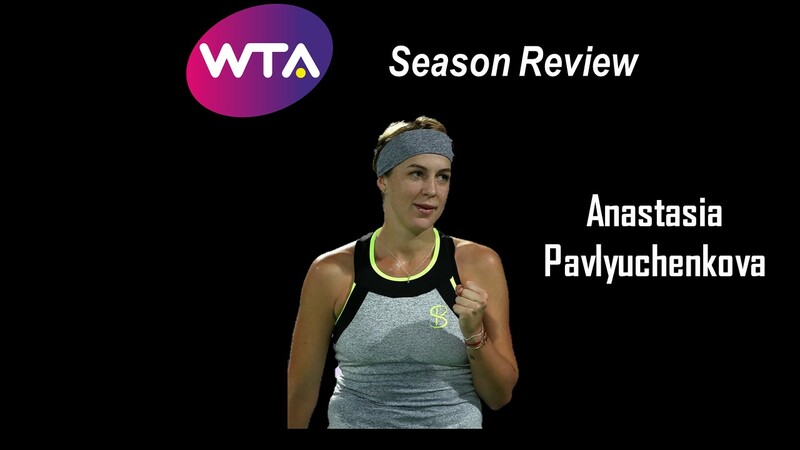 Failing to back up her success from 2017, it has been a rather disappointing season for Pavlyuchenkova who definitely has the potential to be a top-10 player. Although impressive wins did come occasionally, she was unable to find the consistency and often lost out on the mental edge against her opponents. Entering the new year as an underdog, Pavlyuchenkova will look to begin her rise to the top once more.